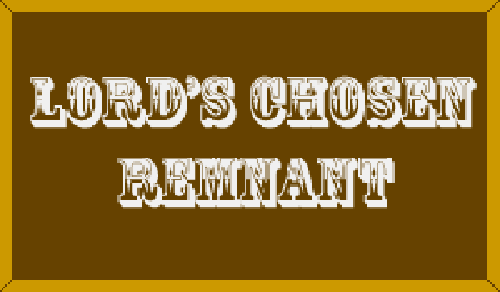 What two covenants are contrasted in the Bible? By what other terms are these covenants designated? “For if that first covenant had been faultless, then should no place have been sought for the second.” Heb. 8:7. In connection with what historical event was the old covenant made? “Not according to the covenant that I made with their fathers in the day when I took them by the hand to lead them out of the land of Egypt; because they continued not in My covenant, and I regarded them not, saith the Lord.” Heb. 8:9. See Exo. 19:3-8. When God was about to proclaim His law to Israel, of what did He tell Moses to remind them? “Tell the children of Israel; Ye have seen what I did unto the Egyptians, and how I bare you on eagles’ wings, and brought you unto Myself.” Exo. 19:3,4. What proposition did He submit to them? “Now therefore, if ye will obey M y voice indeed, and keep My covenant, then ye shall be a peculiar treasure unto Me above all people: for all the earth is Mine: and ye shall be unto Me a kingdom of priests, and an holy nation.” Exo. 19:5,6. What response did the people make to this proposition? “And all the people answered together, and said, All that the Lord hath spoken we will do. And Moses returned the words of the people unto the Lord.” Exo. 19:8. In this covenant with Israel, what obligation was imposed upon the people? “Now therefore, if ye will obey My voice indeed, and keep My covenant.” Exo. 19:5, first part. What was the Lord’s covenant which they were to keep as their part of this covenant? After the law had been proclaimed from Sinai, what did the people again say? “And all the people answered with one voice, and said, All the words which the Lord hath said will we do.” Exo. 24:3. “And Moses wrote all the words of the Lord, . . . and he took the book of the covenant, and read in the audience of the people.” Exo. 24:4-7. “And they said, All that the Lord hath said will we do, and be obedient.” Exo. 24:7. How was this covenant then confirmed and dedicated? offered burnt offerings, and sacrificed peace-offerings of oxen unto the Lord. And Moses took half of the blood, and put it in basins; and half of the blood he sprinkled on the altar. And he took the book of the covenant, and read in the audience of the people: and they said, All that the Lord hath said will we do, and be obedient. And Moses took the blood, and sprinkled it on the people, and said, Behold the blood of the covenant, which the Lord hath made with you concerning all these words.” Exo. 24:5-8. How does Paul describe this dedication of the covenant? Within less than forty days after the making of this covenant, while Moses tarried in the mount, what did the people say to Aaron? “Up, make us gods, which shall go before us; for as for this Moses, the man that brought us up out of the land of Egypt, we wot not what is become of him.” Exo. 32:1. When Moses came down from Sinai, what did he see? camp, that he saw the calf, and the dancing: and Moses’ anger waxed hot, and he cast the tables out of his hands, and brake them beneath the mount.” Ex. 32:19. Wherein does the new covenant differ from and excel the old? What are the “better promises” upon which the new covenant was established? In what statement was Christ promised as a Saviour and Deliverer of the race as soon as sin entered? Who was the seed here referred to? What shows that the new or second covenant and the Abrahamic covenant are virtually the same? What is necessary where there is a covenant? With whose blood was the new covenant dedicated? Through which covenant only is there remission of sins? “ How much more shall the blood of Christ, who through the eternal Spirit offered himself without spot to God, purge your conscience from dead works to serve the living God? And for this cause he is the mediator of the new testament, that by means of death, for the redemption of the transgressions that were under the first testament, they which are called might receive the promise of eternal inheritance.” Heb. 9:14,15. Under the old covenant, what did the people promise? Where was the law of God written under the old covenant? Where is the law of God written under the new covenant? What unites all believers under the new covenant?